Denim cover with debossed vegetable tannin leather. Included with raw series putters purchase. Who says blue jeans are not allowed on the golf course!? 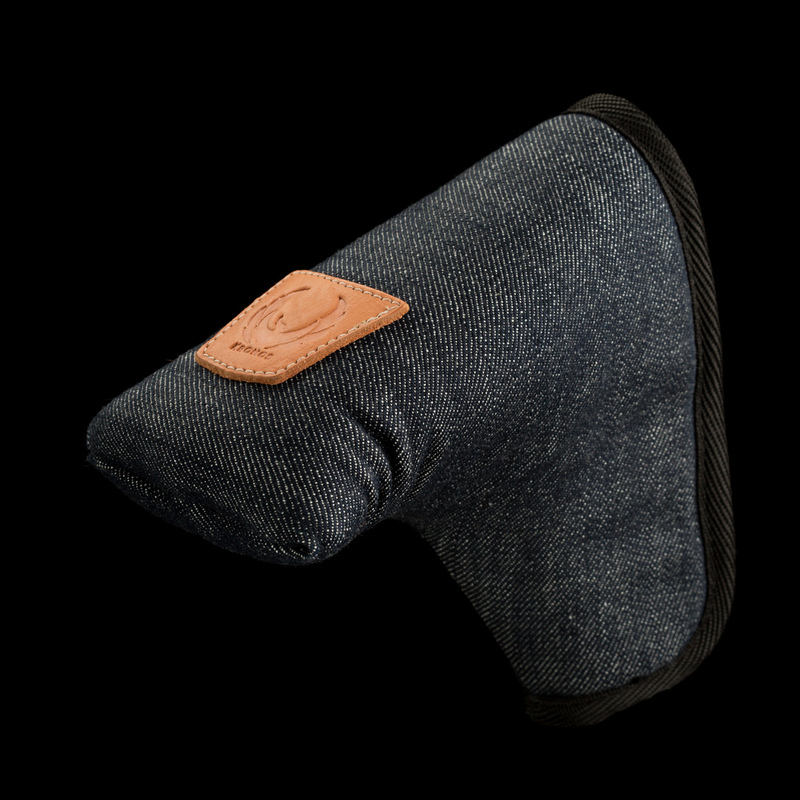 Our indigo Japanese denim covers are the perfect excuse to bring your jeans to the course. Currently we only offer the mid-mallet type that fits both blade type putters and of course mid-mallet shape heads. Careful this item is not pre-washed or pre-faded so the indigo may transfer onto light colored items if contacted. This cover will build character over time just like your pair of jeans! The faux fur inner is very durable and withstood rigorous testing. The inner lining foam is the same foam used in thearter seats which has been test to last over 10 years of American butts compressing the foam.